BLACKWOOD – The Camden County College baseball team defeated Ocean County College 8-0 on April 14. CCC Cougars starting pitcher William Kazura of Mays Landing threw eight shutout innings to earn the win over the Vikings. He began the game by getting a ground out, a strikeout, then another ground out. Kazura struck out five batters in the game. This was his seventh game starting for the Cougars this season. “Everything meshed well and the ball was falling,” Kazura said. Ocean County pitcher Drew Zytko of Brick started the game and was replaced by James Papamakariou of Toms River in the bottom of the seventh inning after giving up six runs in the game. Papamakariou gave up an RBI to Mark Kearney of Mount Ephraim, who also stole third base in the inning. Sean Maxcy of Neptune replaced Papamakariou in the bottom of the eighth inning and gave up a hit to John Lindeborn of Gloucester City. Ryan Glasthal of Orlando, Fla., got an RBI and stole a base in the inning. Nick Ezzi of Hammonton knocked in the first run of the game with an RBI single in the bottom of the first inning, scoring Elijah Birriel of Williamstown. Dan Healey of West Chester, Pa., hit the first of two home runs by the Cougars in the bottom of the third inning to make the game 2-0, then in the same inning Glasthal got a hit but was thrown out trying to steal second. Jason West of Woolwich hit a double to left field and Ezzi drove in the third run of the game and stole second base. With Ezzi on second, Kearney hit a two-run home run to make the game 5-0. It was his first home run of the season. In the top of the sixth, Ocean County’s Andrew Slinger of Tinton Falls hit into the only double play of the game. Kearney doubled and notched another RBI in the bottom of the seventh. Lindeborn, Healey and Glasthal all got hits off Maxcy in the bottom of the eighth to raise the score to 8-0 Cougars. 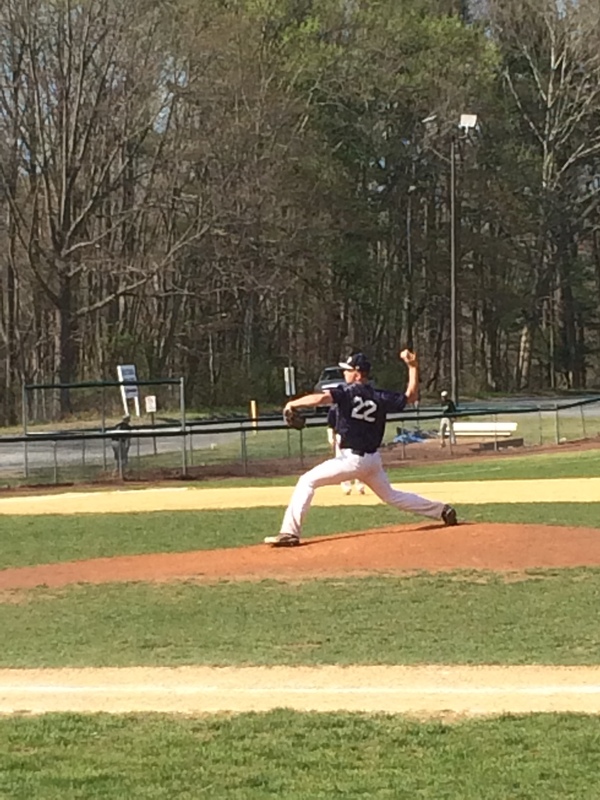 Jacob Gramkowski of Collingswood closed out the game in the top of the ninth with two strikeouts and a ground out. Cougars assistant coach and former player Esterlin Lagual said even after a win, the training stays the same and the team must stay focused. “We are going after the championship,” Lagual said.